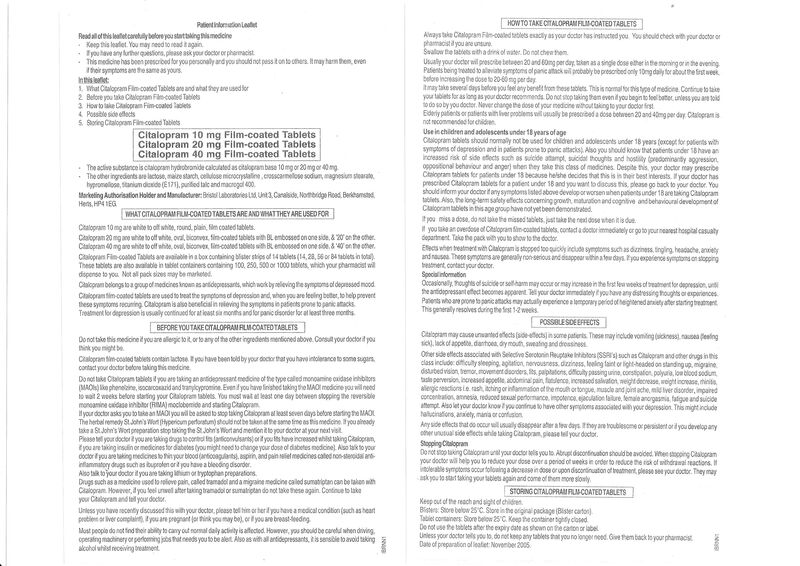 Below is an example of a Patient Information Leaflet (PIL) for Citalopram from the UK in 2010. I have displayed the front and back side by side. Together, they fit on to a piece of A4 paper. There is a section entitled “Possible Side Effects” on the back. Here you will find a suicide warning, of sorts. In the first paragraph, 7 side effects are listed, starting with vomiting and ending with drowsiness. The next paragraph contains 38 conditions in all, of which “suicide attempt” is number 34, after a variety of complaints such as constipation and flatulence. The Pharma-funded UK regulatory authority considered this to be adequate. Thank you so much for this great new website. The information that you have already provided is invaluable and a great source for all. This patient Information Leaflet is criminal and the fact that it states that side effects ‘usually disappear in a few days’ is a tragedy. Any ‘drug induced’ suicide could have been prevented if the drug was discontinued. Telling people to keep taking the drug (until the side effects disappear) is criminal, negligent and can only end with tragic consequences. I have learned to expect little else from Lundbeck, the makers of this drug. 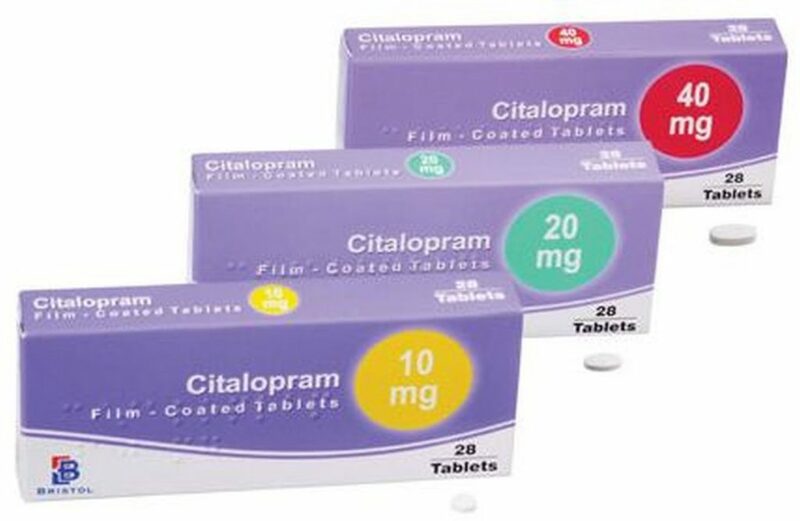 I am so sorry that you had the misfortune to become aware of this horrible company due to the death of your son; My son was also a victim of Citalopram. After 17 days on this supposed ‘anti?depressant’, he took his own life and the life of another young man. He was never violent in his life. Unfortunately it seems that the pharmaceutical industry in general, is equally corrupt, hiding terrible side-effects, including numerous drug-induced deaths, for profit. I really hope that the police forces will pick up on your recommendations. Who knows how many victims could be saved? Thank you for your comments, Leonie. As you have probably noticed, your blog http://leoniefennell.wordpress.com/ is on my list of recommended websites. With the information you provide and your beautifully-crafted articles, it is hardly surprising that you are held in such high esteem by myself and the countless others who visit your blog. I met with Kent Woods, CEO of the MHRA a few years ago. I wanted to discuss SSRi withdrawal and suggested to him that the patient information leaflets were not helping patients. I also pointed out to him that the then Seroxat patient information leaflet stated the phrase ‘Talk to your doctor’ over 30 times. I also mentioned that the BNF [the booklet we set in most doctors coat pockets] needed updating. The advice for SSRi withdrawal wasn’t really advice at all. Woods told me the MHRA would contact the BNF, he also promised me that the MHRA would meet with Prof. Healy, as I had suggested. They met with Healy approx one year later. He offered them a withdrawal protocol – As far as I know, it’s still gathering cobwebs on the MHRA conference table. Some years later the MHRA announced a new guidance on SSRi withdrawal. In a program sent to doctors they [MHRA] recommended that doctors sent the more difficult withdrawal cases to specialists. They couldn’t give me one such specialist.